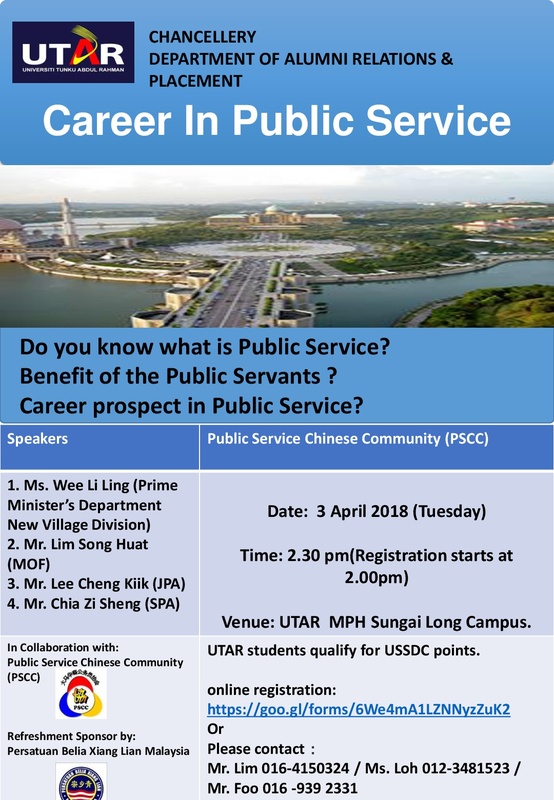 You are invited to attend a Career Talk by the Public Service Chinese Community (PSCC). Venue: UTAR MPH Sungai Long Campus. The Malaysian Public Service that serves as the administrative arm of the government has a crucial role to play in facilitating the nation's journey towards becoming a developed nation by 2020. Today, the geopolitical environment has become more volatile and the domestic governance challenges even more complex and multi-faceted. Our population is also changing - their views and needs are more diverse. Attitudes and values and preoccupations too have changed, particularly with the younger generations. But most importantly, what this means for the public service is that we too need to continuously change in order to respond to these challenges. Grab this opportunity and you can be the one of them to serve the nation. 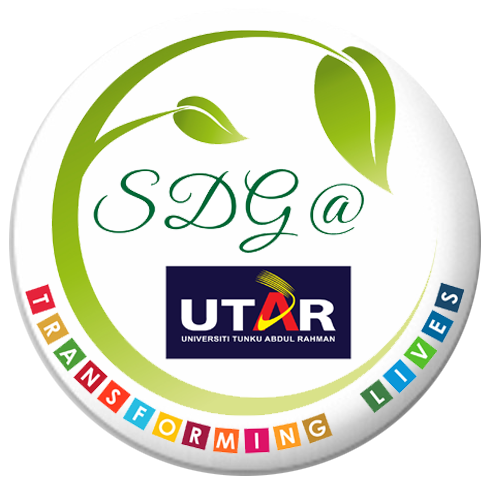 Admission is FREE & UTAR students qualify for USSDC points.